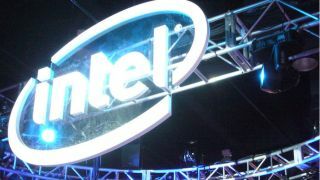 Intel is planning to make its own hybrid laptop with a curved display, according to a report citing a leaked patent. As revealed by The Leaker, Intel’s patent shows a detachable notebook in the style of Microsoft’s Surface range, with one major difference – both the screen and keyboard have a gentle curve. The curved screen is something we’ve seen a lot of with TVs and monitors (featuring ultra-wide 21:9 displays in the latter case) these days, although of course it’s not so easy to translate to a notebook – even though Acer managed this feat with its Predator 21 X. That’s a stupidly expensive laptop, mind, and presumably Intel’s effort would be pitched with a mainstream price. As the patent illustrations make clear, the purported product would be a detachable, meaning you could remove the curved screen and use it as a tablet on its own, just like the Surface 2-in-1s. The Leaker further notes that it seems likely there will be a battery in both the tablet and base sections of the hybrid, with the latter possibly offering additional storage and a beefier CPU. The rumor is that this product will be launched with Intel’s next (eighth) generation of Core processors, and a low-power mode will activate when the slate is removed from the base, for extra battery life when being used as a tablet. However, before we get too carried away, remember this is just a report on a patent – and even if Intel is mulling such a design, and a shift in a fresh direction with its own notebook, there’s no guarantee the device will actually move forward from prototyping to production. As ever, only time will tell. Looking at the design of this machine though, one slight worry is exactly what sort of typing experience this curved keyboard will make for. Still, innovation is what Microsoft is calling for when it comes to PCs going forward, and if this offering from Intel is realized, it’ll certainly shake things up a bit in the hybrid arena. Can you see why the Dell XPS 13 is the best laptop of the year so far?